The Beatrix Farrand Society (http://www.beatrixfarrandsociety.org) held it’s first ever seminar last Saturday, July 27. I was among the attendees from 15 states who gathered in Bar Harbor, Maine to enjoy Preserving Beatrix Farrand Gardens, a day devoted to discussion of Farrand’s private gardens. The seminar, organized by Judith Tankard, landscape historian and Society member, with sponsorship from The Garden Conservancy (https://www.gardenconservancy.org) was held to commemorate the 10th anniversary of the founding of the Society with the 2003 purchase of Garland Farm, Farrand’s final home in Bar Harbor. An intangible but very real benefit of attending such a seminar is not just the exposure to the information presented. 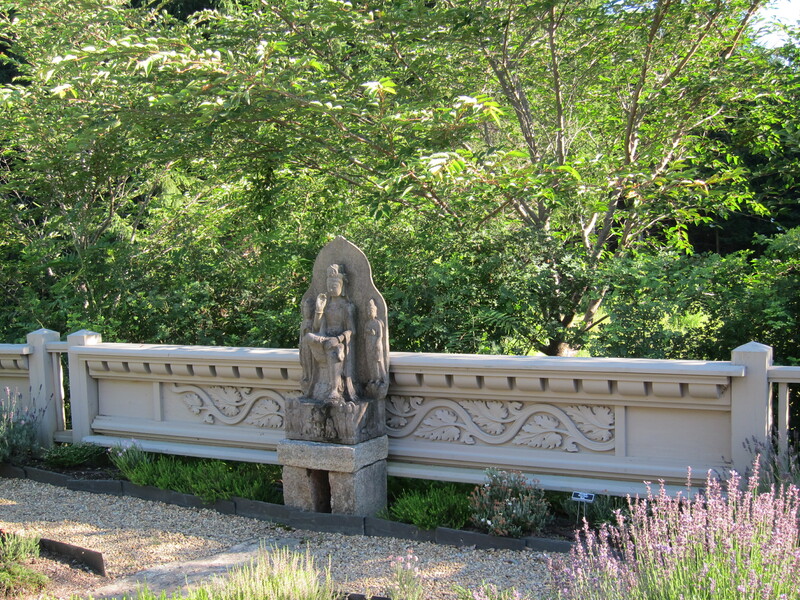 It is to sit in a room, collect together for lunch, and gather together on the Terrace Garden at Garland Farm with scholars, hobbyists, gardeners and fans of Beatrix Farrand and share the collective knowledge and enthusiasm for the work of a woman who hugely influenced the course of American Landscape design in it’s nascent years in the early 20th century. Not quite a lovefest, but more than a seminar, last weekend in Bar Harbor reflected the high level of admiration and devotion of Farrand cognoscenti. Farrand was highly respected and sought after professionally in her day, and she continues to inspire loyalty among garden historians and enthusiasts who have gone to great lengths to preserve, restore and chronicle her work. The last event of an eventful day was a reception at Garland Farm. On a perfect midsummer evening we gathered to admire the newly restored Terrace Garden, a labor of love accomplished by Master Gardeners over a period of years (2007 -2013), view the Herbarium on display in the barn, pass through the beloved green door which Farrand brought with her from Reef Point, and walk among the rooms where Farrand walked. The talk was of gardens: how to preserve them, how to document them, how to restore them, how to do them. I believe Mrs. Farrand would be pleased. 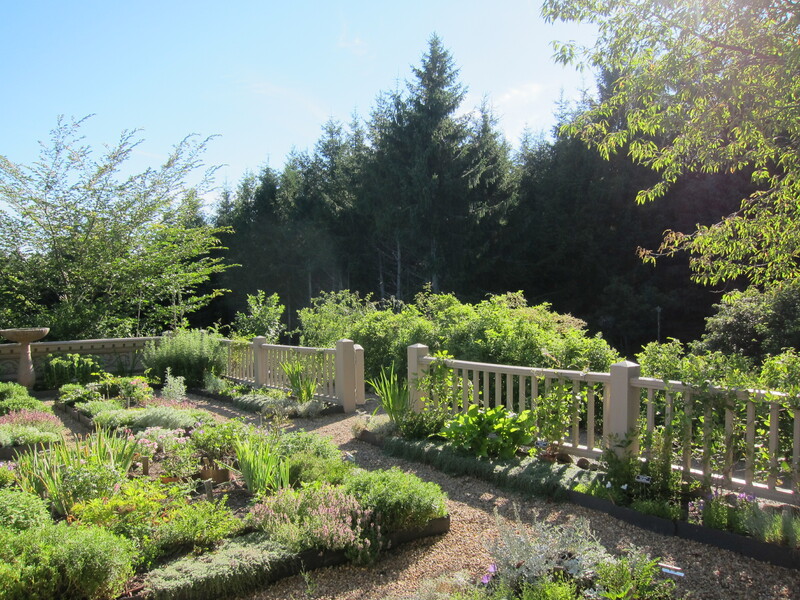 Thanks for the report of the seminar, and for the photos of the restored terrace garden at Garland Farm. I was very briefly involved in the early plans for its restoration, when I worked in the US, but sadly moved away before the project really began. It is good to see that it came to fruition, and that the BF Society continues its good work. 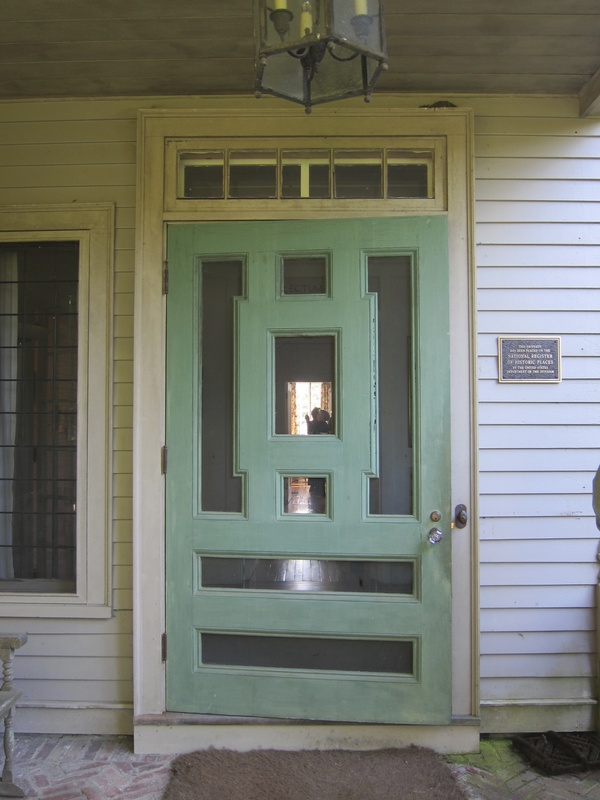 That is a lovely door! The edging around the beds in the Terrace Garden seems a little odd. Is it overlapping stone? I had a closer look at some of my photos and can report back that the edging looks to be overlapping slate. If you really want to know, you can check out the Beatrix Farrand Society webpage on Facebook and see if someone on there knows the answer. I am impressed with your powers of observation! 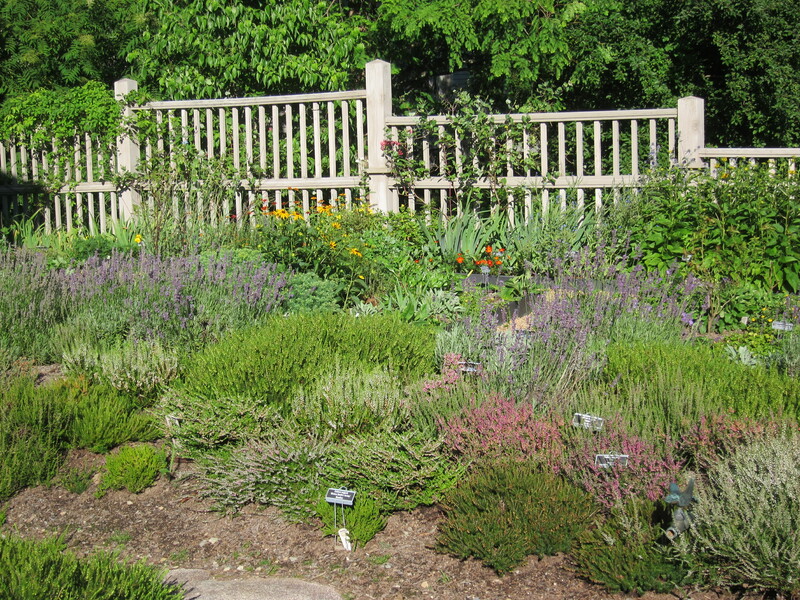 The edging around the Terrace Garden beds is composed of overlapping slate roof tiles from Reef Point. 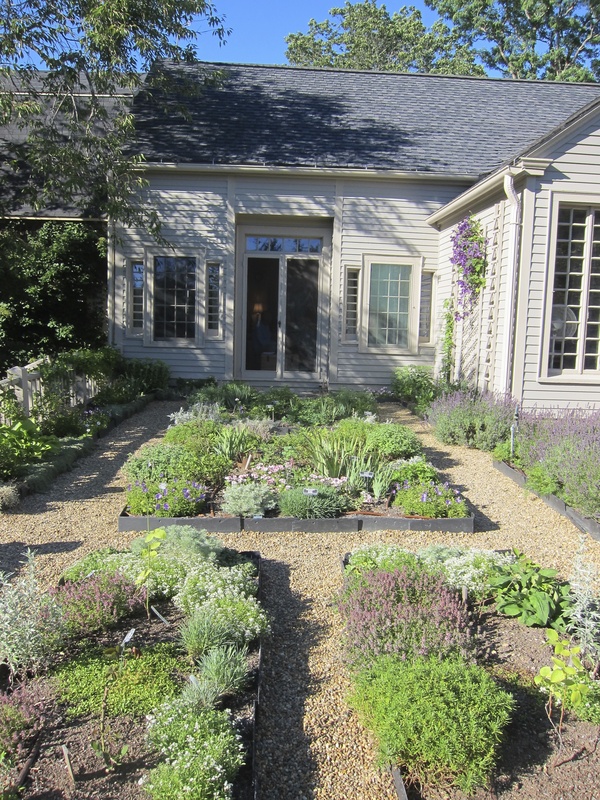 Although missing from the Terrace Garden beds when the Beatrix Farrand Society purchased Garland Farm, there was a supply of roof tiles discovered in a crawl space under the Garland’s barn and those were used to reconstruct the raised beds. In addition to the old photographs, broken pieces of the slate were also discovered along the bed edges when plants were moved out of the garden to allow for the rebuilding of the beds and the installation of an irrigation system . Thank you, Carolyn, for the explanation. The restoration of Garland Farm continues to be of great interest to many. It’s nice to have some experts on hand to answer questions. Interesting,thanks! I’ve also been appreciating how nice the fence is. She was a master. Thanks, Judith. Anyone interested in Beatrix Farrand would benefit from joining the Beatrix Farrand Society. I did!